Chicken again? If it’s this sweet and savory Asian take on Buffalo chicken wings, you bet! This recipe mixes syrupy, bittersweet molasses with Tabasco sauce, garlic, and ginger for some killer wings that are sure to spice up any occasion. And because the sauce is so addictive, don't forget to set some aside for dipping. To make sure the sauce doesn’t burn on the wings, start broiling the wings before brushing on the sauce. That way they’ll be partially cooked and won’t have to be under the broiler too long. Preheat broiler to high with rack 6 inches from element. Line a baking sheet with foil. For the glaze, whisk together molasses, Tabasco, mustard, vinegar, ginger, garlic, and oil. Reserve &frac23; cup glaze to serve with wings. For the wings, arrange wings on prepared baking sheet and broil 10 minutes. Flip wings, baste with molasses glaze, and broil 6 minutes more. Flip wings and baste uncoated side. Broil wings until they begin to caramelize and a thermometer inserted into the thickest part of the meat, but not touching bone, registers 165°, about 3 minutes. 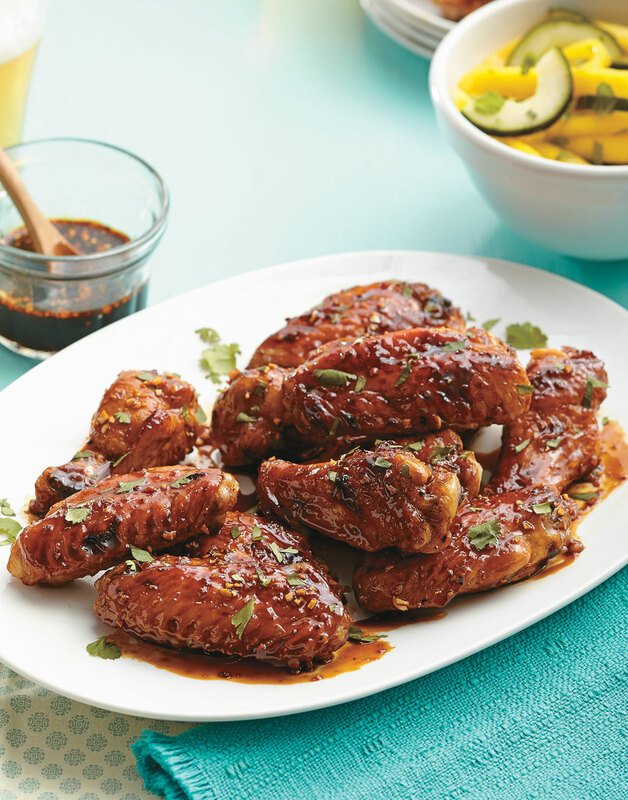 Toss wings with some of the reserved glaze, then sprinkle with cilantro. Serve remaining glaze for dipping. To prevent cross-contamination, set aside some of the molasses mixture to serve with the cooked wings. Ensure even cooking without burning the glaze by broiling the wings before basting them.